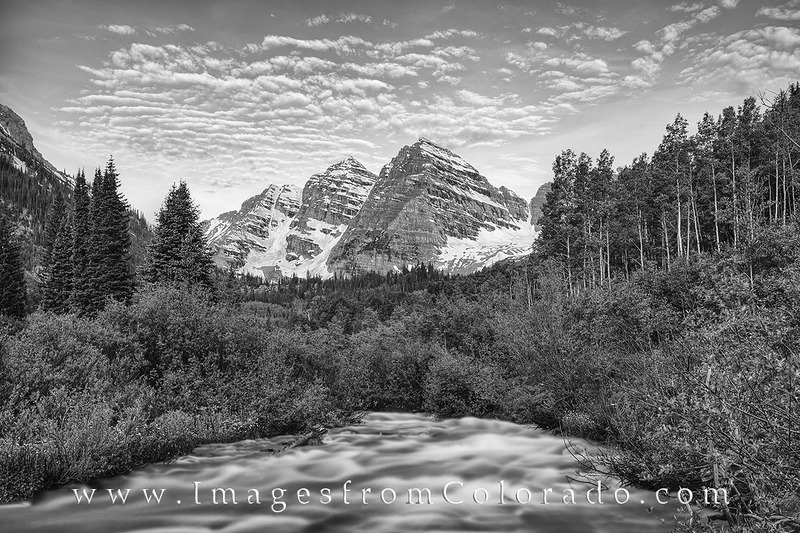 This black and white photograph of the Maroon Bells with Maroon Creek in the foreground was captured on a still, quiet summer morning. As arguably Colorado’s most photographed peaks, the Bells rise over 14,000’ and dominate the landscape from Maroon Lake, Maroon Creek and Crater Lake, making for an impressive view throughout a hike in this area. Photo © copyright by Rob Greebon.